Happy Friday!! I can not tell you how excited I am for this weekend! Tonight I am going to a craft night with some of my favorite local bloggers and tomorrow morning I am going to my first ever blog conference. Then, tomorrow night we are going to celebrate my mother-in-law and sister-in-law’s birthdays. This whole week has been a great week actually. Have you ever had one of those days, or weeks, or months, or maybe even years when everything went your way?! That’s how I feel. 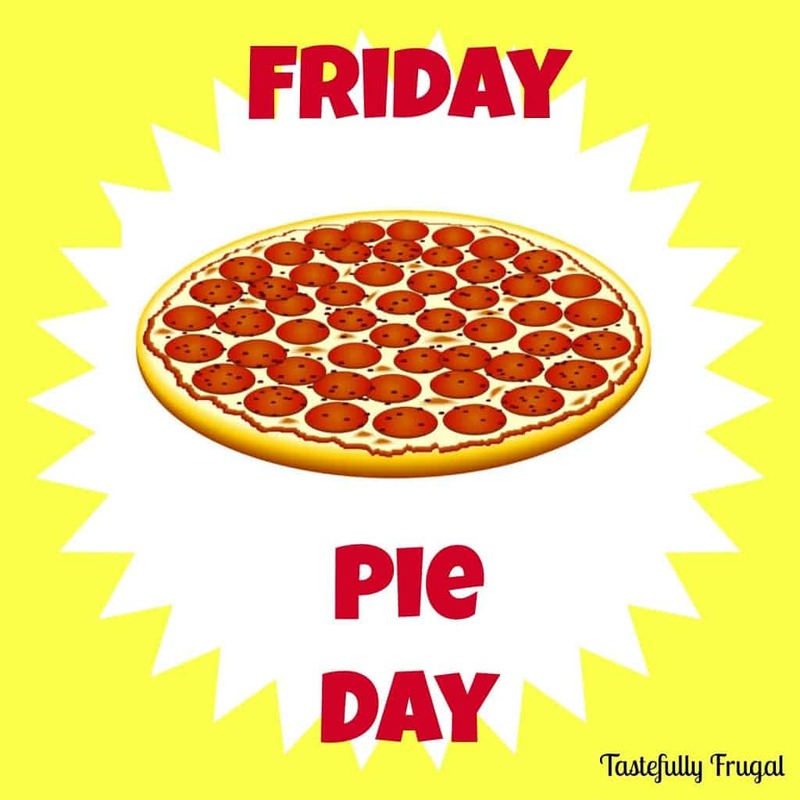 Now if I can only keep the good times rolling for a year…or two… or three 🙂 And what better way to end a great week (and start a great weekend) then with a delicious pizza?! This week’s pizza is really, really good. 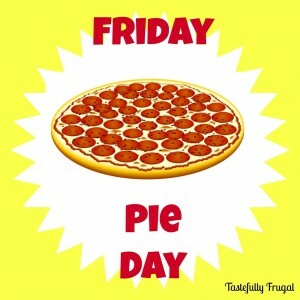 But I suggest eating it only if you plan on staying home for the night, or changing clothes. It can (and does) get messy! 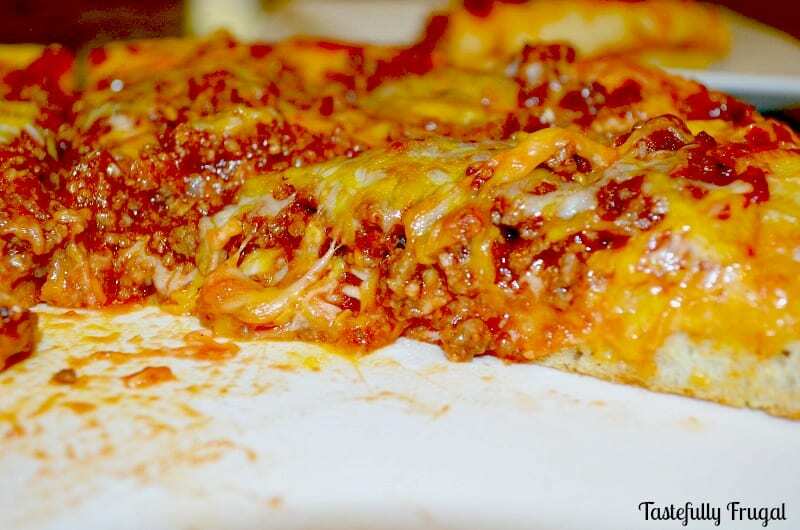 You may have read my post yesterday about my favorite comfort food growing up… Sloppy Joes. These little beauties are pretty messy in a bun but add some ooey-gooey cheese to it and throw it on a pizza crust and you’ve got one yummy, delicious mess. This pizza has been my boys’ favorite pizza thus far. They are little boys so anything they can do (or eat) and get messy with they love! But they also loved the flavor. Earlier in the week we had Sloppy Joes (my 2 year old calls them Slappy Joes) and both boys really liked those too. I actually made a little bit more than the original recipe called for that way I would have extra for this pizza. 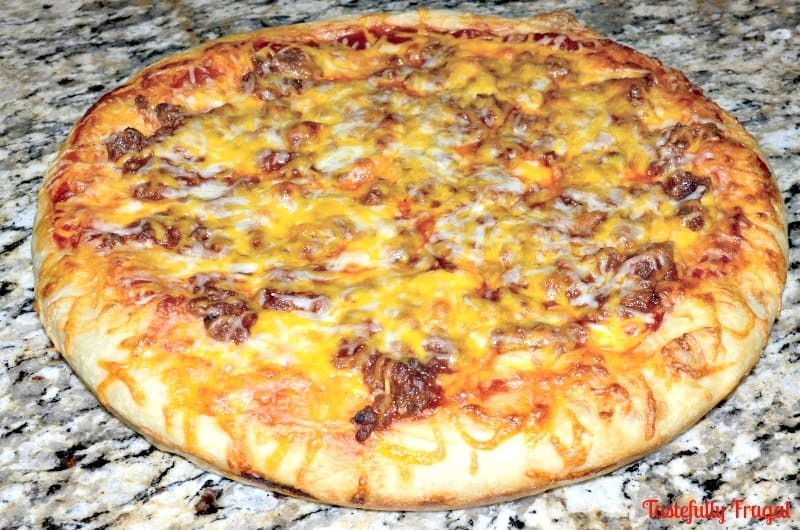 You can do the same thing too and this pizza will be that much easier to make! One thing I like about the homemade Joes is that they aren’t super saucy. They are rich and sassy and have a nice mix of veggies hidden inside every bite. For the pizza sauce I swapped the amounts of ketchup and tomato sauce which may be why the pizza version was sloppier than the original. 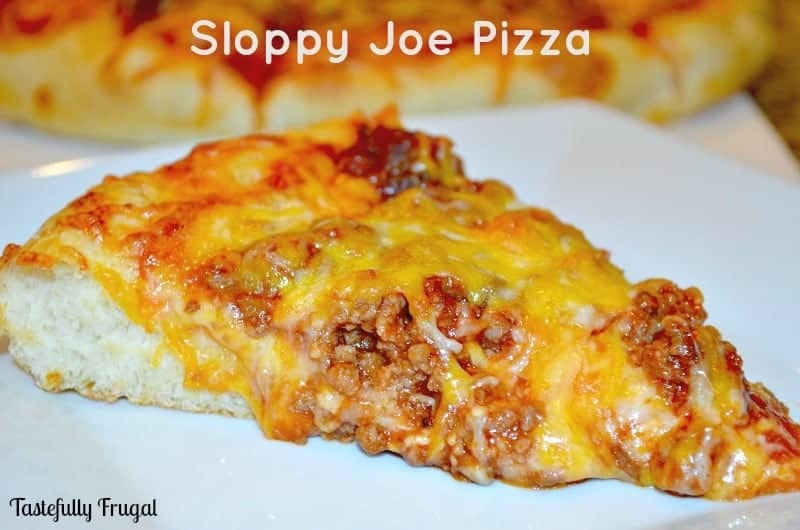 No matter how you eat them you really should try homemade “Slappy Joes”. Once you do you’ll never go back to the canned stuff! Brown ground beef with garlic, bell pepper and onion. Drain grease. Add ketchup, tomato sauce and Worcestershire sauce and simmer for 5 minutes. To make sauce add all ingredients to a pot over medium heat. Bring to a simmer and reduce heat to low. Let simmer for 3-5 minutes. Roll out dough in a pizza pan and top with sauce. Sprinkle on at least 1 cup of cheese. 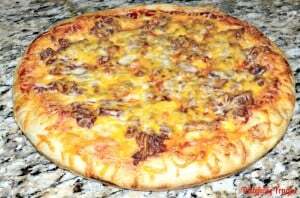 Add Sloppy Joe mix and spread out evenly. Do you have a favorite messy food you love to devour? I’d love to hear about it!